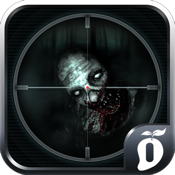 "The Fort: Zombie Rush" is now available for IOS! You're a lone soldier deserted in the middle of an infestation zone. Using whatever weaponry available, you must defend the LZ from an incoming horde of undead and provide cover fire for survivors to make it out alive. With impeccable aim, take out as many of them as you can while you're still alive, because they're coming to get you!